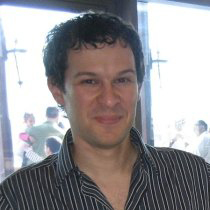 A developer for over 25 years, Yariv has been involved in all aspects of bringing a software project to life, from an idea to UI design and backend integration. Yariv has experienced many of the illnesses plaguing software projects, such as over optimistic management, zigzagging of goals, ill-focused efforts and the omnipresent “quick and dirty”. Yariv’s favorite part of development is finding ways to use small investments in high-quality to drastically reduce development time, coming from the understanding that time is most wasted when development is replace with debugging. This has led Yariv to create designs and code a ways that are either resistant to bugs (yes, it is possible!) or make bug detection easy. You can read on some of Yariv’s findings regarding bug resistant coding on his website.